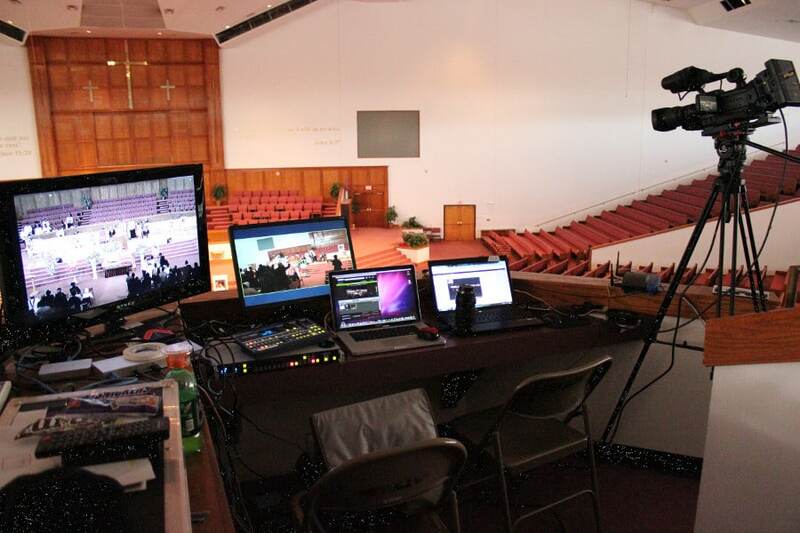 The availability of state-of-the-art technology has allowed many houses of worship to benefit from incorporating audio-visual equipment into the new construction and remodeling of their structures. Large electric screens, large plasma displays and wireless technology allowing remote audio-visual switching is just the beginning of the capabilities easily attainable to today’s houses of worship. When the time comes, please allow AV Rental Services, Inc. to give you a competitively priced quote for your equipment and installation needs. We are flexible and our extensive knowledge and continued research affords us the ability to beat out the competition! Feel free to contact AV Rental Services, Inc. anytime for temporary rentals, purchasing, maintenance and/or repair issues concerning your existing equipment. For Houses of Worship owning AV Equipment and/or have an In-house Audio-Visual or IT Department, AV Rental Services, Inc., can provide hard-to-find equipment, equipment not stocked in-house or supplemental equipment when equipment demand outweighs the in-house AV supply. Our current price list is readily available but remember, for best pricing let us quote your entire event as a package.